Tanimura Midnight is a synthwave project of mine that I've been building on and off since 2009. 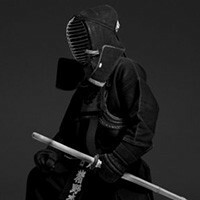 It is heavily influenced by Japanese culture and memories/feelings from when Frodus went on tour in Japan in 1999. This list comprises these influences and general things that I love about Japan. Otherwise known as M.U.S.C.L.E. figures in the '80s in the USA. These toys (and what I later learned was a manga) blew my young mind. All the different characters had my imagination go wild, and I would spend hours building my own pro-wrestling league with these toys. Even to the point where I made a magazine for myself, and tiny championship belts out of twist ties and paper. A Japanese friend who played in Atomic Fireball, which Frodus toured with, turned me onto this band. Ever since he sent me the CD many years ago, I was intrigued by this band and their solo work. Something about the Japanese electronic/art/Kraftwerk vibes make this band intriguing for me. What's not to like? I really "got it" when traveling by car in Japan and stopping to have noodles at various rest stops and restuarants. Love that red, spicy pepper powder. I'm a graphic design nerd and love Japanese packaging. I have a hardbound book of just music packaging from Japan, which really shows you the attention to detail and next-level quality of the work. Really pushing the medium, too, with interesting extras and continuity. Yeah, they have better 7-Elevens than we do in America. Similar to Swedish 7-Elevens, Japanese 7-Elevens have distinct cultural flavor, and are clean and enjoyable places to go. I wish every country had the vending machine culture of Japan. Hot tea, beer, whatever you want! Distinctly Japanese postwar sentimental ballad songs. Pretty sad with glimmers of hope. It's rather cheesy and croony, but something about it I love. It must be the distinct melancholy. I think that my music with Tanimura Midnight attempts to build off this feeling. They actually play with snowballs and roll them down mountains. They enjoy hot baths in springs. Kind of an ideal life, if you ask me. I'd be happy to be reincarnated as one. I've become a big fan of New Japan Pro-Wrestling. Yeah, back to wrestling! We saw FMW [Frontier Martial-Arts Wrestling] live on tour in 1999 and I loved the high-flying and rough-edged quality of it. Later, I delved deeper and really came to appreciate the artform and storytelling in the ring of Japanese pro-wrestlers. They have a bit more kicks and strikes, and really pace things in a kind of old school '80s way. Axis TV airs NJPW and I always try and catch it. Shelby Cinca records under the Tanimura Midnight moniker for his latest musical project. Cinca is known in punk circles from fronting such notable acts as Frodus and Decahedron. 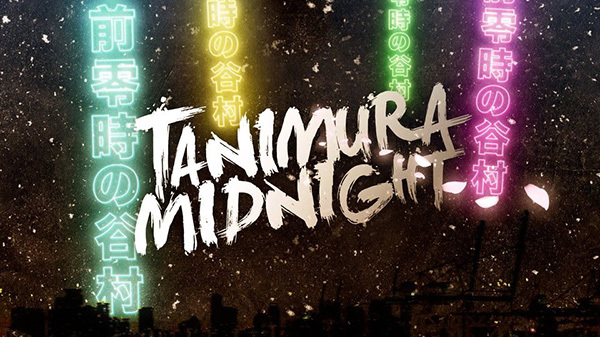 Tanimura Midnight finds the Los Angeles-based musician creating synthwave music in the vein of vintage soundtrack work by the likes of Giorgio Mororder, John Carpenter, and Vangelis—albeit with a modern EDM sensibility. Cinca also helped score the video game Hotline Miami 2: Wrong Number. October 20 will see the release of Ruby Dare, a new EP from Tanimura Midnight. Head to Bandcamp to listen to tracks and pre-order your copy.